Sargsyan served as president from 2008 until April 9 and retained power thanks to a law that transferred substantial powers to the prime minister. 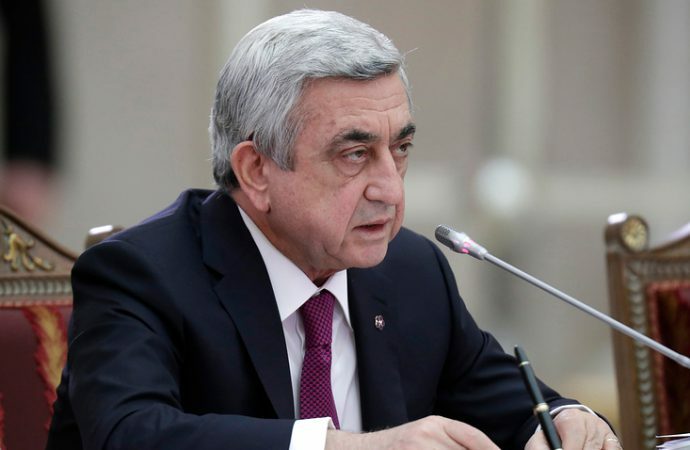 Sargsyan served as president from 2008 until April 9 and retained power thanks to a 2015 law that transferred substantial powers to the prime minister. Thousands gathered in protest of Sargsyan’s perceived authoritarianism. Nikol Pashinyan, an opposition leader at the centre of the riots, was among the hundreds of detainees, but was released yesterday. However, Sargsyan’s Republican Party retains the majority in the legislature, nearly assuring the next PM will be Republican. In the fluid situation, the party will have to break from Sargsyan’s influence, lest protests erupt again. Additionally, Pashinyan could capitalise on public opinion to undermine the Republican stronghold. With major instability in Armenia, all eyes are on the country, especially as today is Armenian Genocide Remembrance Day. Azerbaijan will be watching especially closely in the coming days, thanks to uncertainty from its adversary in Nagorno-Karabakh. Expect escalating tension in the region unless Armenia resolves its instability quickly.